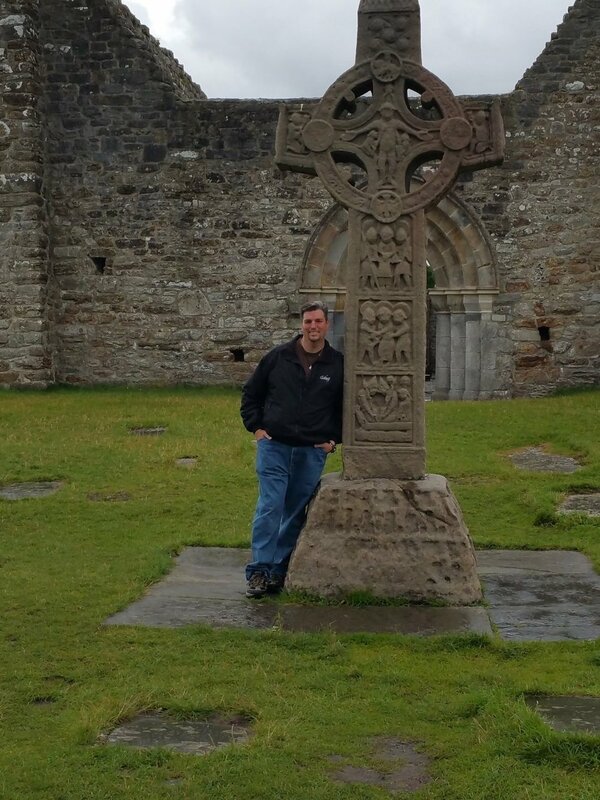 The week after my ordination I boarded a plane for Ireland, the land of Saints and Scholars, for a Spiritual Pilgrimage with an alumni group from Asbury Seminary. Exploring the lives, the ministries, and the mystery of the ancient Irish Saints has fueled my ongoing passion for the beauty and richness of Celtic Christian practices long forgotten by much of our modern church. Founded in 544 by St. Ciarán, Clonmacnoise stood at a geographical crossroads in the heart of Ireland drawing spiritual seekers from north, south, east and west, sending them forth to live the love of Christ throughout the world. Biblical stories are carved into High Crosses, like this “Cross of the Scriptures” at Clonmacnoise, so the Living Word of God might be known to a largely illiterate culture. Through images and symbols, song and dance, friendship and hospitality, simplicity and devotion, and indeed through every corner of Creation, echoes of God’s truth and love resound. Celtic Christians understood, perhaps better than anyone, how to truly listen to the still small voice of Holy Spirit and to encounter the presence of God in the Thin Places where heaven touches earth. From this Thin Place, echoes of heaven resound across time and space. They call us back to those deep places within; those places where God's Spirit bears witness to our spirit that we have been called sons and daughters of God (Romans 8:16). I hear the echoes, the whispers from heaven, still reverberating in this place. The echoes do not stop at Ireland’s border. Half way across the globe and several years removed, I write these words from a small North Carolina town where, even now, the still small voice of God whispers through this image. Like an eternal antenna, the cross sends forth the signals of our Creator’s loving voice. I pray only that this blog might function as a receiver and transmitter, that the echoes of the WORD who spoke light into darkness might continue to create and re-create until all of Creation is fully and perfectly restored.